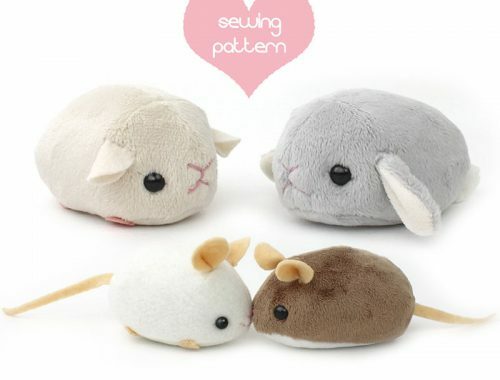 Cute Christmas Gift Guide: For A Creepy Cute Cat Lady - Super Cute Kawaii!! 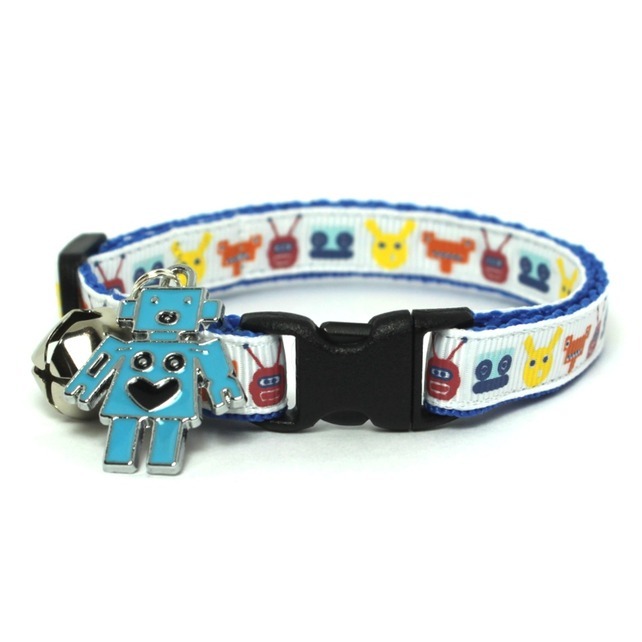 Another gift guide to help you with your holiday shopping. 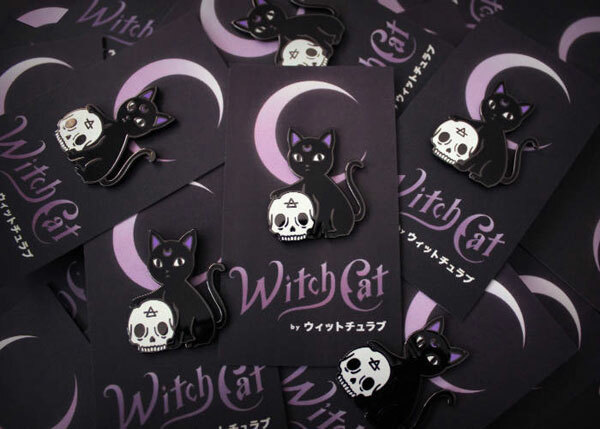 Are you shopping for a spooky friend who happens to love cats? 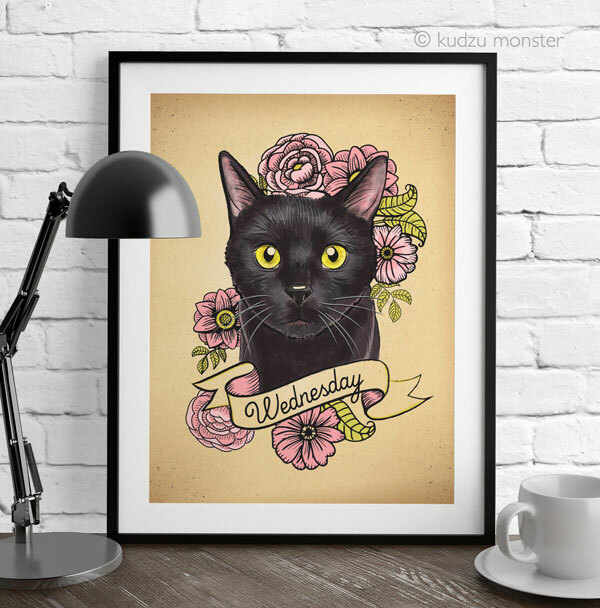 Maybe you are shopping for a creepy kitty. Whatever the case may be, these make great gifts for that dark hearted soul in your life. Skulls and cats? A perfect combo on this enamel pin by Wytchlab! Any cat lady would love artwork of their fur baby. This tattoo style custom portrait by Kudzu Monster takes it to the next level with bright colors and bold lines. 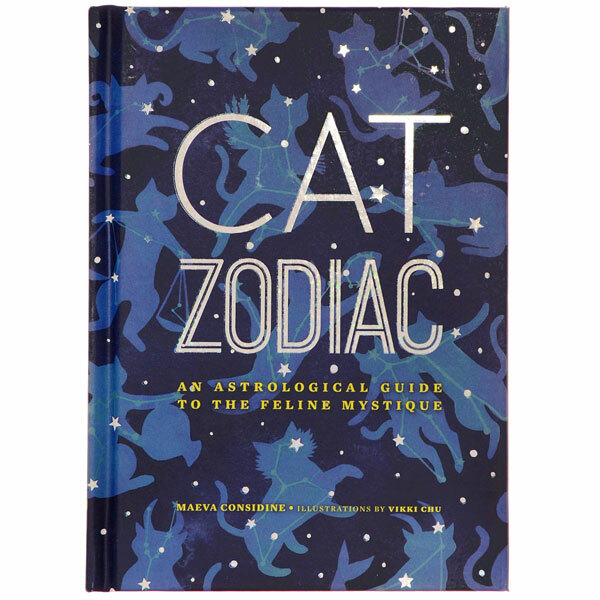 Get witchy with this Cat Zodiac book and look into your cat’s future. 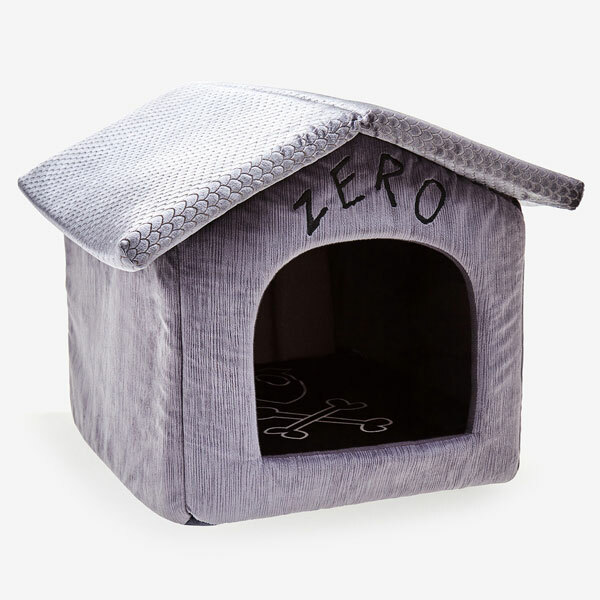 This Nightmare Before Christmas pet bed is perfect for any spooky cats looking to hide out and stay cozy in the cold months. Eeeekkk! A spider! Get it, fluffy! 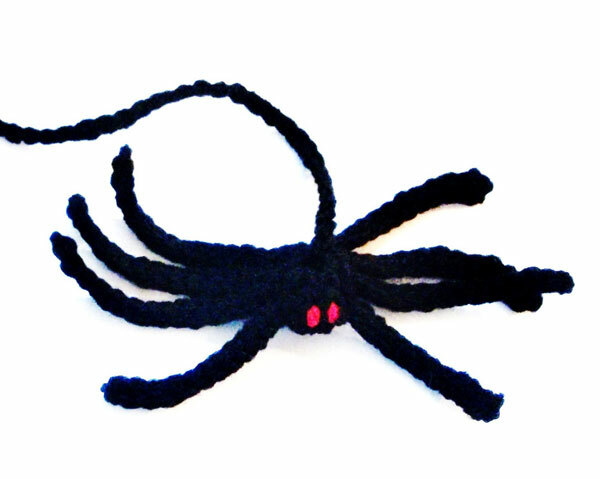 Hours of buggin’ out can be had with this acrylic spider made by Four Paws and Home. Low on cash or just feeling like a crafty-cat? 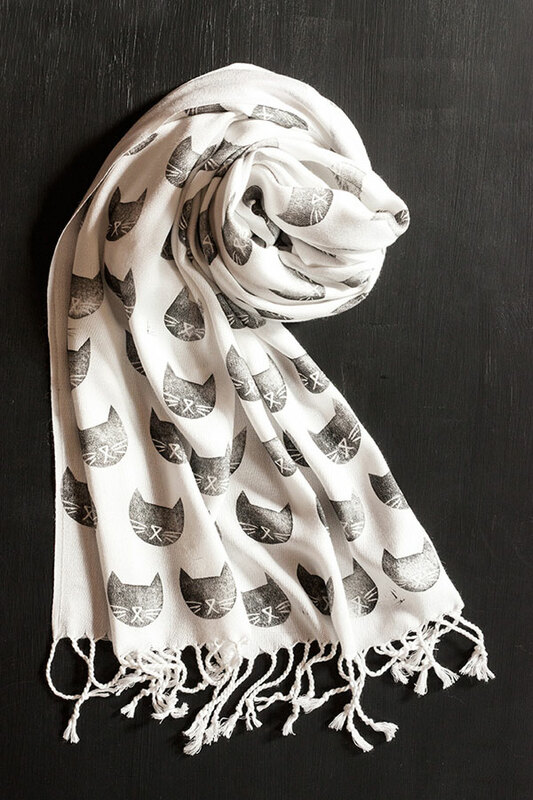 Why not stamp up some fabric with this tutorial for a black cat stamped scarf by Adventures in Making? Do not let it limit you to a scarf though – blank pillowcases are cheap. 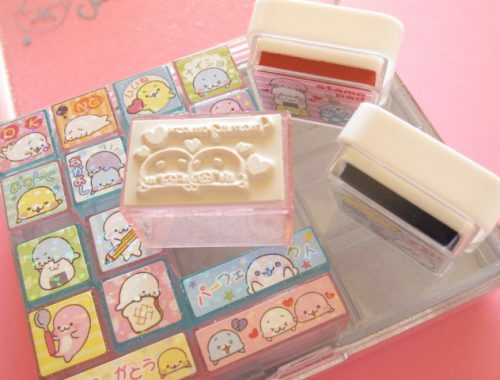 Also, switch out the fabric ink for paper ink and you can make a stationery set using blank cards.